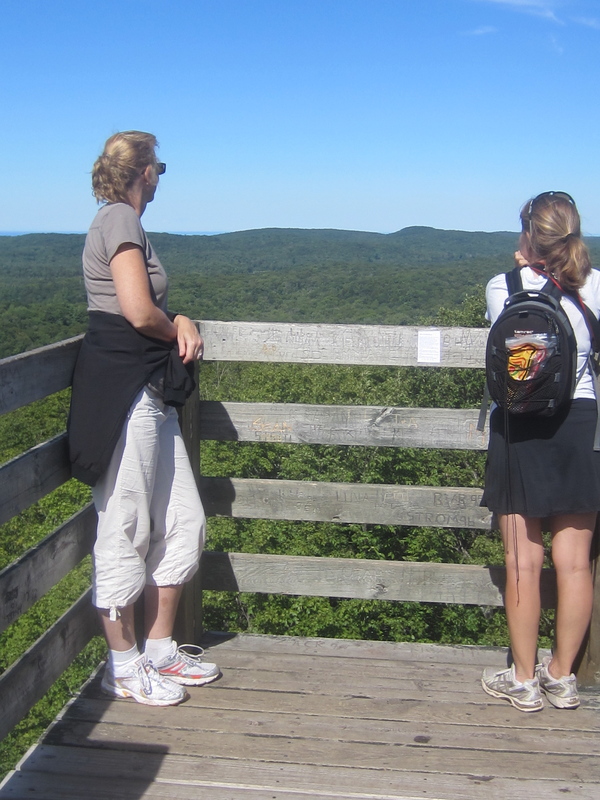 Visiting the U.P. unsettles me. I’m enough a suburbanite that I feel on edge in a place with so many trees and so few people. 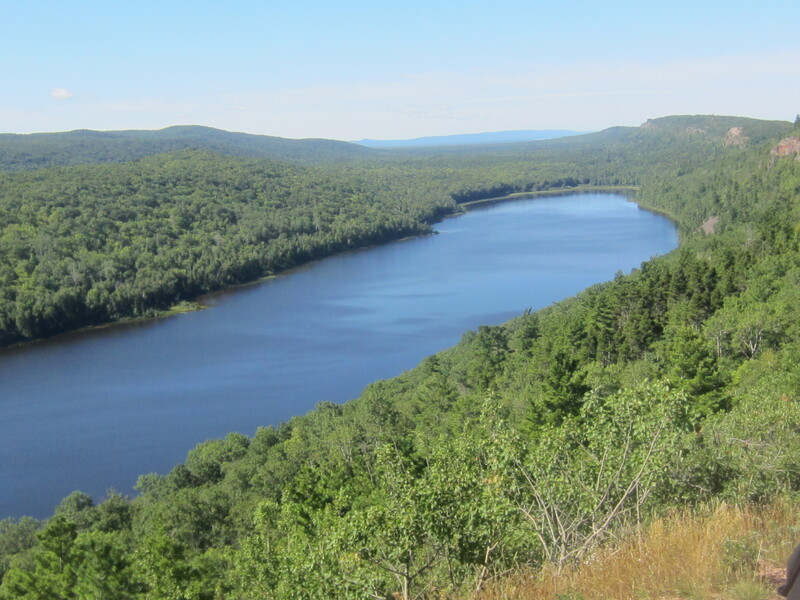 Humans never made much of an inroad in the Upper Peninsula anyway, but lately with the closing of so many mines and paper mills, it’s less populated than ever. 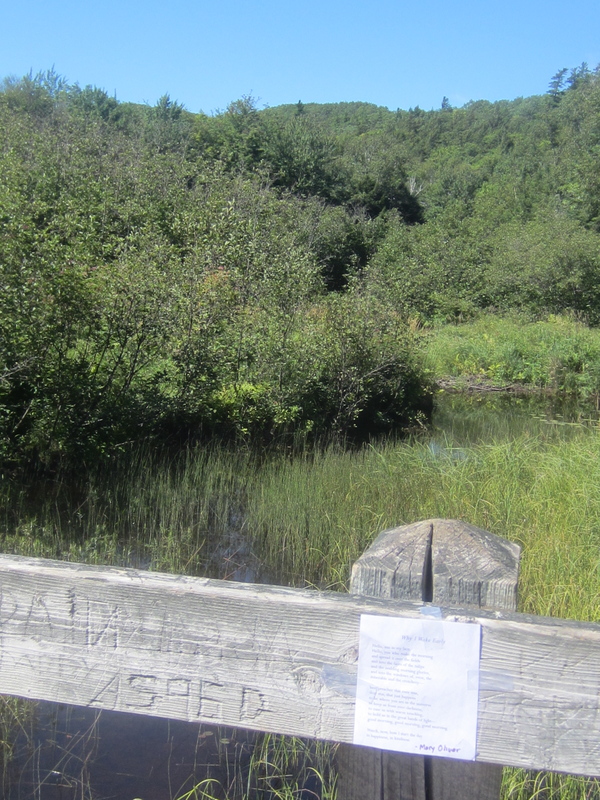 But visiting the U.P. also allows me to connect with something bigger than myself. 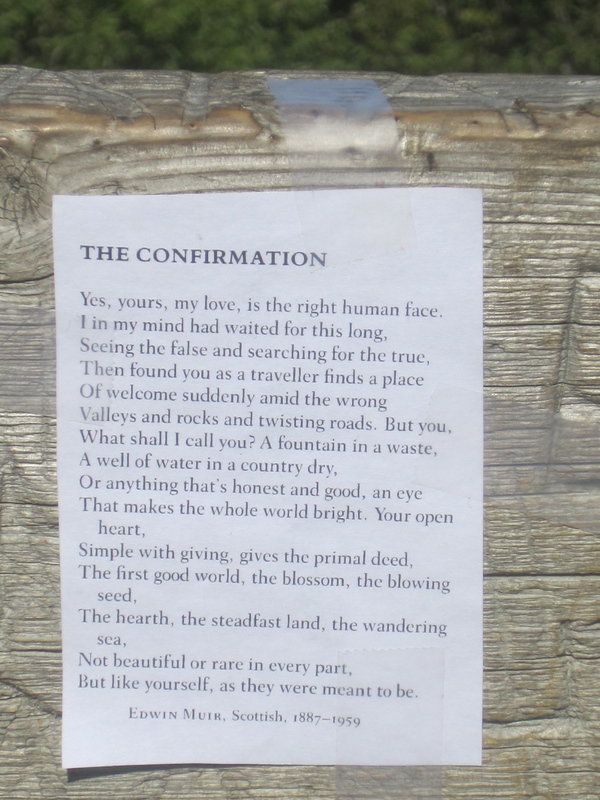 Call it mystery and freedom, call it nature, call it God, but it’s a connection I’ve yearned for all year without knowing it. That soulful kind of experience, along with the spectacular views, is what pulls me back. Since the internet is the slide projector of our age, I invite you to see a few photos while I gush over a trip you didn’t go on. 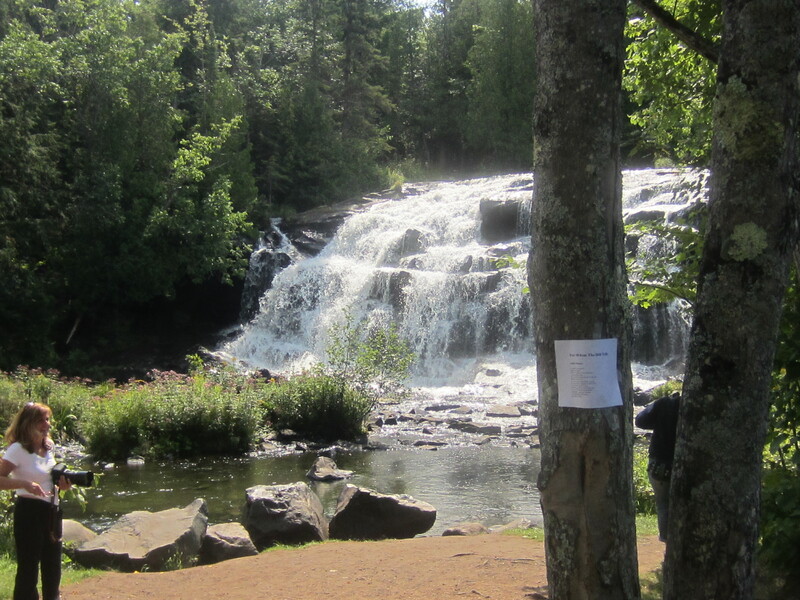 If you’re a waterfall fan, the Upper Peninsula has a glut of them. It almost gets to be like meh, another amazing waterfall, no more noteworthy than another pretty day in California. 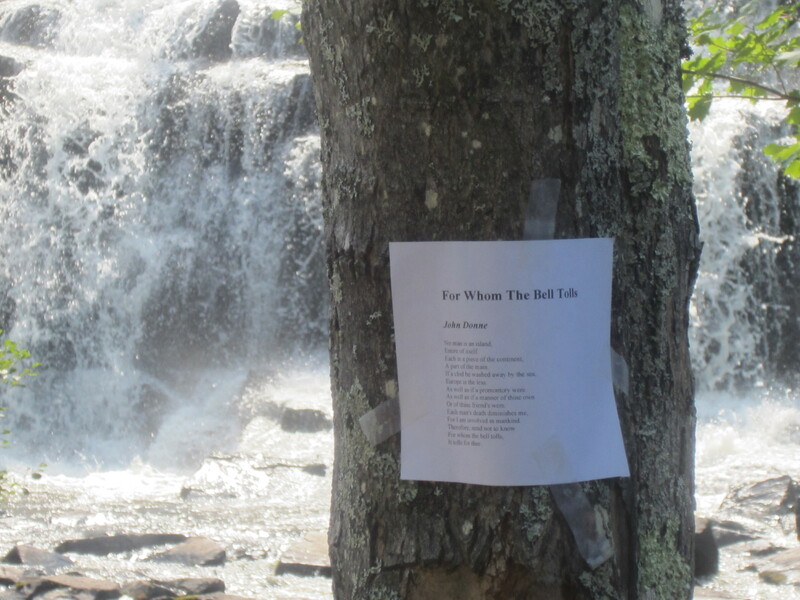 For no particular reason, I left John Donne’s “For Whom the Bell Tolls” on a tree by these falls. 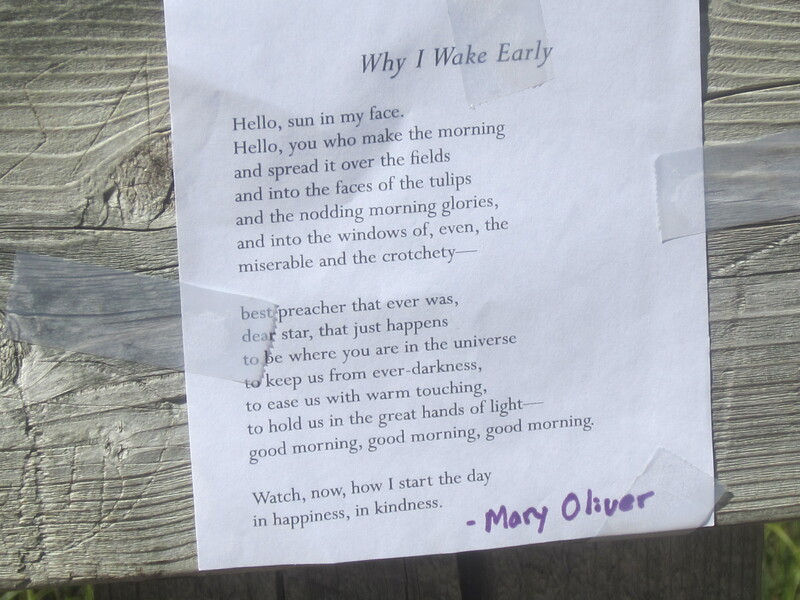 I left Mary Oliver’s “Why I Wake Early” at the bottom of the Lake of the Clouds (top photo). No one writes about connecting with nature and spirit more beautifully than Oliver. She really belongs here. I’ll post a few more pictures over the weekend.